Welcome to the Turtle Shelf in the Reptile Case in the Fauna Room. Of the seven species in the world, the five below receive protection in the Florida Keys. 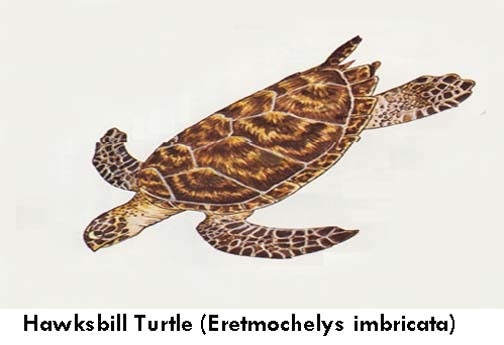 The nesting ritual of the sea turtle has basically remained unchanged for the last 100 million years. 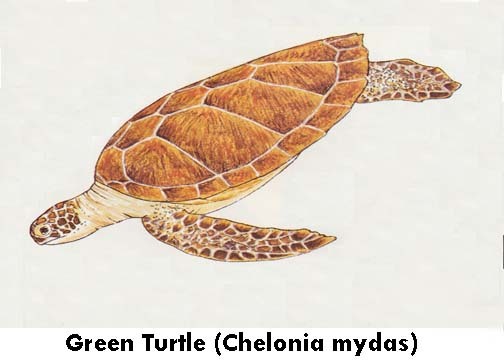 Florida is an important nesting area for the loggerhead, green and leatherback turtles. Reproduction generally takes place from May to October of each year. Some how the female turtle selects a spot on a beach and tries to clear a tear-dropped hole deep enough to hatch her eggs without molestation of predators. Often the coral rock will present a problem and usually the female chooses another location. She will deposit around 100 to 125 ping-pong ball size eggs and cover the nest using camouflage methods to confuse predators. She returns to the ocean where she awaits until time to nest again. About 90 days later, the hatchlings will cut through the shell and will dig themselves to the surface all done in a few days. Using an inborn guidance system they make a dash for water's edge. During this time they are subject to predators from the ground, air and water. In addition, they are subject to disorientation and never make it to the life saving water. They also become entangled in obstructions, even natural vegetation such as the purslane. Artificial lights also are thought to disorient their passage to the ocean. Some estimate only one of a 1,000 survives to adulthood which takes about 25 to 30 years. 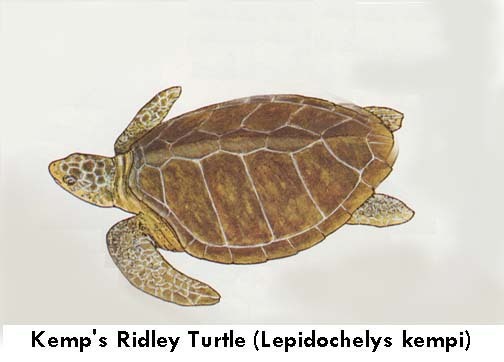 The green turtle was once a prized source of food in the Keys. They were captured and kept in pens, called turtle kraals, and harvested when ever needed for a meal. 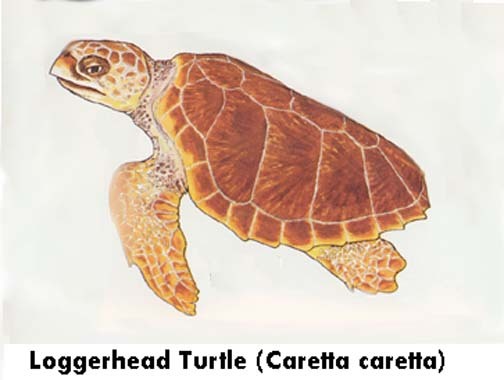 Florida is the second largest nesting area for the loggerhead turtle. 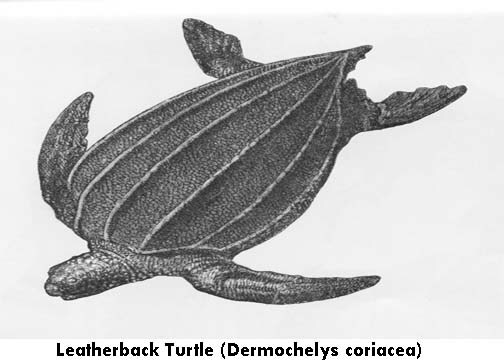 The leatherback turtle can reach the weight of 2,000 pounds and is the largest of the sea turtles. The nest mainly on the mainland of Florida. 1) Marathon maintains a turtle hospital. 2) If a nest is found, please do not dig or molest the nest. Call Save-a-Turtle at 743-6056.